✅ Trip Verified | The business class seats were comfortable but the neighbour can see whatever you are doing. I can't seem to figure out where to put my personal items. However entertainment system was pretty good with a very wide selection of movies and series. ✅ Trip Verified | The cushioning does very little actual cushioning - after a couple of hours my rear end felt like I'd been sitting on the floor forever and no matter how I positioned myself I could still feel the pain. I will not comment on the pitch or leg space, but the seat cushions were absolutely horrible. ✅ Trip Verified | Smallest seats I have ever flown on an airline, domestic US or international. Seriously, if the passenger in front of you is in recline, the seat will be in your face, and you are unable to get out. If all KLM flights have this pitch, this is a dealbreaker for me in the future. This 747 was apparently not built for this configuration. Seat did not have any power. "seats were way too cramped"
✅ Trip Verified | For an international flight the Boeing 777-200 seats were way too cramped and the cushions were thin making the seats unbearable after a few hours. 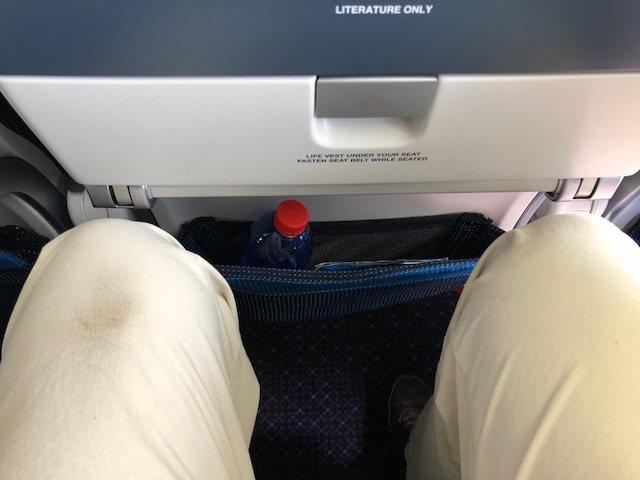 On the flight from JHB to Amsterdam, my poor wife spent the entire flight in a awkward sideways position because she was sat next to a large man who unintentionally took over at least 15cm of her already limited seat space. Aside from seat issues. The flight back from Amsterdam to JHB turned into what seemed like a pub party, free for all alcohol. Passengers were walking back and forth carrying wines and beers constantly with three hours remaining on the flight and the entire economy section got progressively louder as the drinks flowed. Why on earth is that allowed ? Did I miss the memo stating that was a party plane ? I strongly feel that passengers allowed to help themselves to free unlimited alcohol thousands of feet above ground is looking for trouble. Not to mention that there were small children on the flight. I was horrified to use the toilet at one stage and smelt that someone had been smoking a cigarette in there. 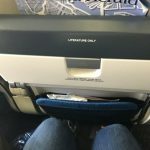 "impossible to find a good position"
Not Verified | I have earlier used KLM om Premium Economy on an Airbus with good success, and did again on a flight from NY to AMS. It was terrible. The 747 was old and when I saw the seats I thought it was a joke. 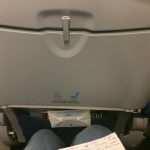 Same seats as in economy, and impossible to find a good position. No advantages what so ever on this flight in premium economy. ✅ Trip Verified | The only reason I fly KLM is because this is the only airline that flies to AMS from my local airport MME. The seats are a miracle of bad ergonomics, the headrest is about 6 inches from supporting the head even in recline position. If you try and sleep with your head resting on it, you are adopting an unnatural reaching posture that eventually is too painful to withstand. KLM has gone downhill fast over the last 3 or 4 years, thank God I only use them from MME to AMS, an hours flight. We used to fly MME, AMS, SIN, DPS, back in the day, about 14 hours on a good day! The seats are pretty much the same as short haul so we binned KLM and now use Emirates. KLM is now a budget airline without budget prices. "like sitting on a concrete plinth"
✅ Trip Verified | If you’re thinking of upgrading to economy comfort on KLM’s new Boeing 787-9 think carefully if it’s legroom you’re after then if you want to spend €95 for leg room ok. If it’s comfort you’re after then think again. The seats are the narrow lightweight Recaro seats that they’ve fitted in their 777’s nonpadding, Solid really uncomfortable. It’s like sitting on a concrete plinth. 7 hrs of hell The inflight entertainment is good and cabin mood lighting etc - but the seats are far from being a dream in fact more a nightmare. ✅ Trip Verified | 10 tiny seats in a row in a Boeing 777-300 plane, which makes it impossible to sit comfortable in a 13 hours flight. 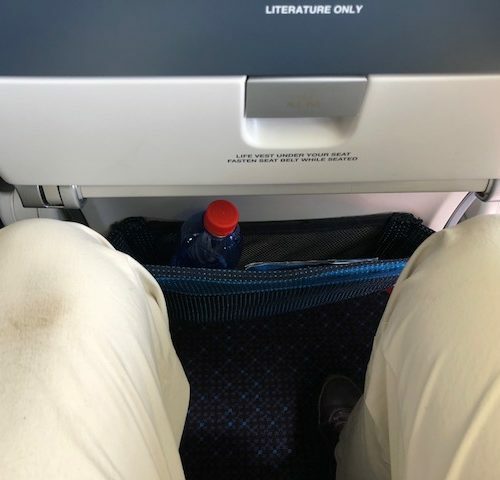 It is so horrible that there is no way to avoid not sitting squeezed, shoulder to shoulder with the person next to you, and I am not a big person.. That experience was regardless I bought a economy comfort seat, other seats had an equally tiny leg space. Never again. "KLM 'comfort' is just a ripoff"
✅ Trip Verified | This class is actually called KLM economy 'comfort' and it actually anything but. 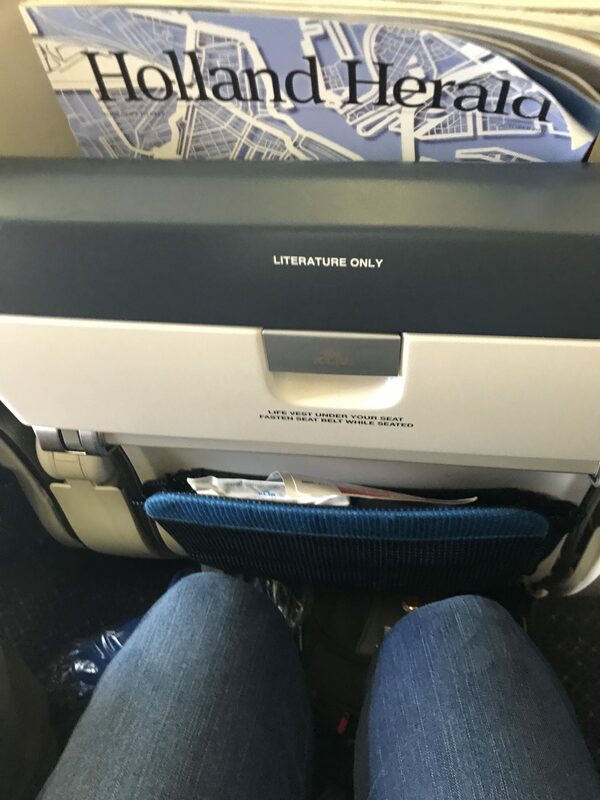 We paid the extra ~$200 to get more space but in fact you only gain a couple of centimeters (1/4 inch) at best; the width of the seat is the same as in economy. I'm 6'8" (2.04 meters) so I need every centimeter. In addition to the seat, the food is equally as awful. Our dinner and lunch served on the Amsterdam to Vancouver route was the same meal. Also, my wife's 'salad' had already been opened by the previous 'customer'. 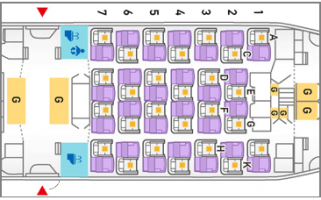 What bugs me most is that economy plus gives you much better space, etc. on other airlines for the same cost. 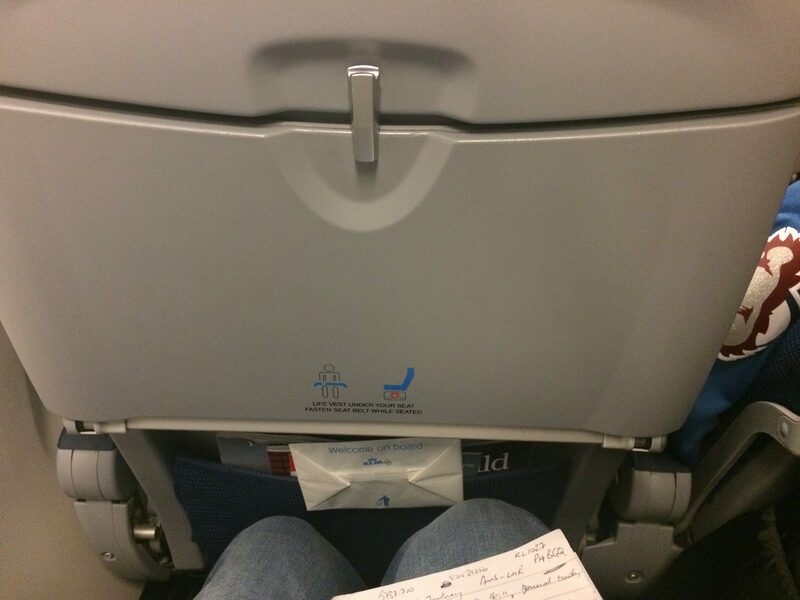 KLM 'comfort' is just a ripoff. The only good thing that can be said about this trip is that they flew on time and the service was ok.
❎ Not Verified | Smallest pitch ever. I'm only 5'6" and my knees touched the seat in front. My seat mate was so close we rubbed elbows and knees the entire way. Impossible to recline without hitting the passenger behind me. The food quality was poor. No Wifi, no power in the seats. They should just skip the food completely. Staff was very nice and helpful. Delta operated flights out bound had much better equipment. Why do they charge more than WOW?